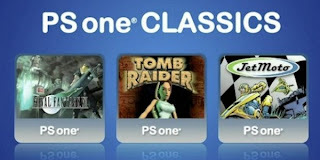 New Vita Updates adds Button use to Menu and PS1 games! Europe has a much larger list, but users on Neogaf have been able to transfer a large section of the PSone titles if copied from a PS3 in the US including Final Fantasy VIII, IX, and V, Castlevania Sotn, Silent Hill, and Resident Evil 2. There are many more though. Click here to see the full list. Transferring is great if you have access to a PS3, but the fact that you can't easily download directly from a Vita is a bummer. Let's hope Sony adds more games to the list and does so in a timely manner.